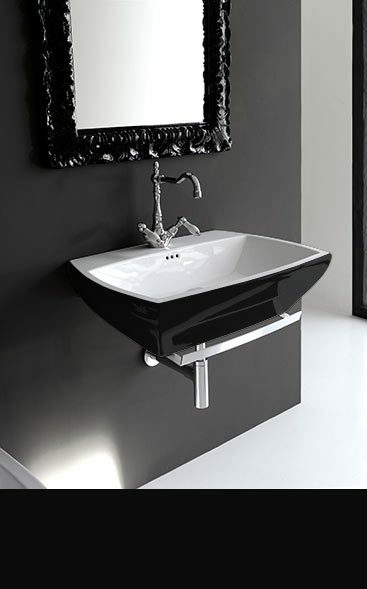 Livinghouse are UK suppliers of designer wash basins and bathroom sinks. Within this contemporary collection we can supply basins in wall hung and wall mounted styles, offset wash basins with side shelf drainers, counter top sinks and wash bowls for work top installation, sinks with pedestals and the latest in designer freestanding sinks for contemporary stand alone floor mounting. 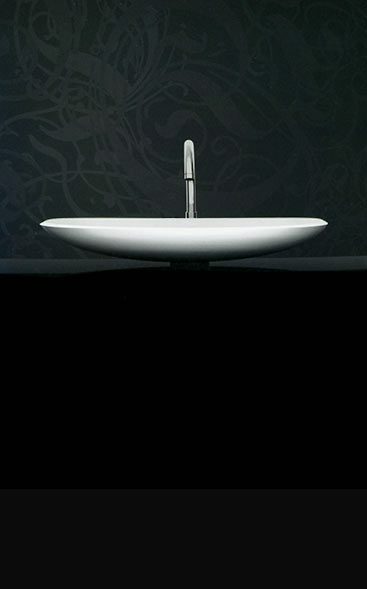 Our designer washbasins are mainly Italian designed and top quality European manufactured. A lovely collection of designer wall hung wash basins and wall mounted sinks. Designed and manufacture in Italy ensuring quality and great design these wall hung basins give a tidy design to a bathroom and an illusion of space. Within this wall hung range we can supply many different shapes and sizes with bathroom sinks in round, square and rectangular styles. Livinghouse supplies beautiful collection of designer counter top basins, sinks and washbowls. This luxury range of exclusive lay on basins are designed for installation onto bathroom worktops and contemporary styled bathroom furniture. 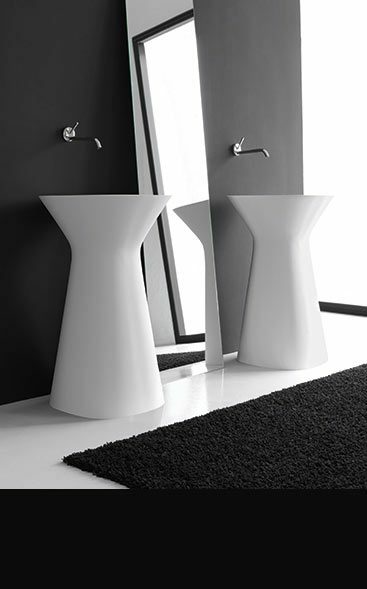 Designed and manufactured in Italy ensuring quality and latest European styling, these round square and rectangular basins are available in white and black ceramic as well as glass composite colours finishes of black, white, red, blue, gold, silver & copper. 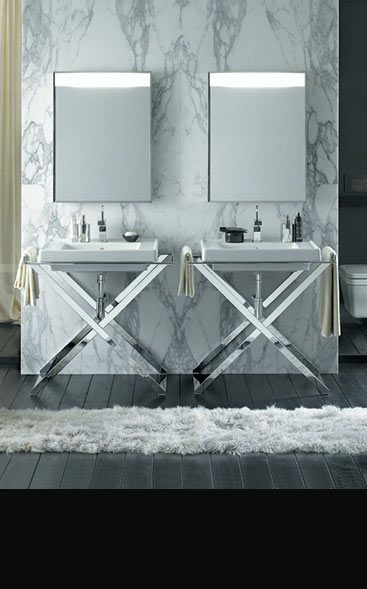 A high quality collection of Italian freestanding wash basins and floor standing sinks. These floor mounted sinks and basins have been chosen for their latest cutting edge designs and are ideal for the luxury bathroom requiring the designer touch and individual styling. 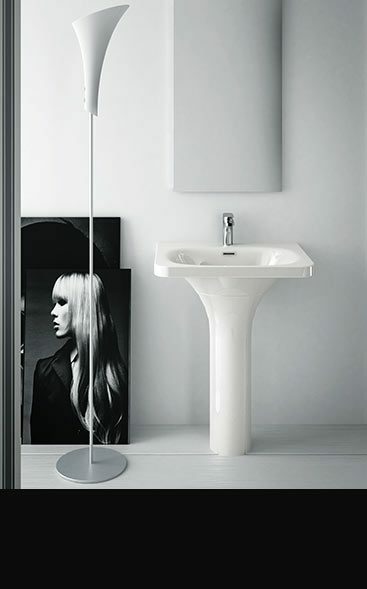 A designer collection of Italian pedestal sinks and wash basins with pedestals. Our range is aimed at the luxury end of the market where good design and high quality is the main requirement. High quality collection of European manufactured wash basins and sinks that are supplied with support structures. These exclusive washstands are supplied in different luxury styles. We have washstands made in metal & chrome, brass, ceramic as well as wood.